A homicide or unattended death and the subsequent bio-cleanup process after a loved one’s passing has been discovered can be devastating for any surviving family members. Texas Disaster Restoration can be there for you to provide the necessary death cleanup services to remove all porous materials that have been contaminated, cleanup remaining bio hazards and bio wash the non porous surfaces leaving the area completely sanitized and free of any potential infectious disease . Disaster Restoration is a professional company dedicated to providing the best services. Disaster Restoration is experienced in removing all pungent odors, blood and bodily fluids. The entire area will be completely cleaned using appropriate biocides to eliminate unseen germs, and viruses and potentially dangerous toxins. 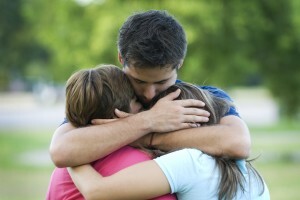 Disaster Restoration understands the very fragile nature of the emotions surrounding the death of a loved one. Disaster Restoration takes the time to listen and is always willing to assist a grieving family in their most challenging and traumatic time of need. Unfortunately, the aftermath of an unattended death may require a serious cleanup. We are here for you with our specialized bio cleaning team to get any job done. Dallas-Fort Worth residents are familiar with the heat in Texas and may not realize the impact it has whenever an unfortunate unattended death occurs. Often, an individual’s death may not be discovered for several days or even weeks, resulting in a very challenging death cleanup situation . The death cleanup that may be necessary after numerous days have passed before the deceased is found always leads to a very difficult situation. Disaster Restoration is trained and prepared to assist you in this most difficult time of grief and need. Call today to speak with one of our technicians to get our certified and discreet crew dispatched to your location immediately. We are experts and we are here to assist you right away. Our technicians are licensed, experienced and professional with unattended death cleanup. We can respond to all death cleanups at any hour of the day or night.